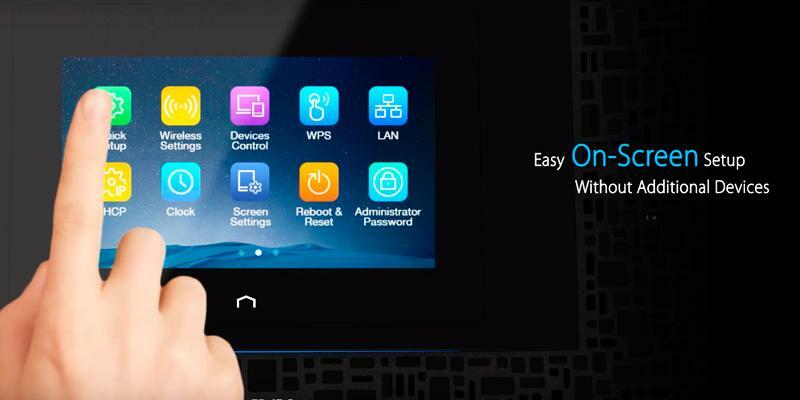 Network settings are accessible via the touchscreen display. This alone already makes it one of the most high-functional and fastest Wi-Fi extenders on the market. Some might find its size a bit too big. The most advanced model in this review, that won't clash with a style of your place due to exquisite look. 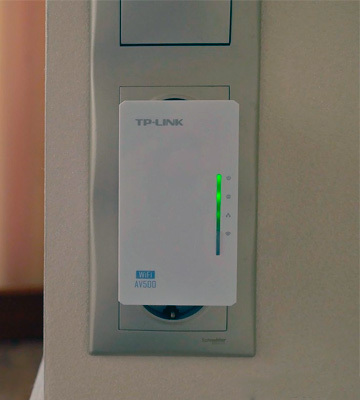 This TP-Link extender has tons of features for effectively expanding the borders of your home or office network. This model is able to automatically switch from its standard mode to the energy-saving one when no one is using the network or when minimum data transfer speed is required; cut your extender energy consumption up to 85%. Sensitive to every voltage fluctuation. Affordable and useful, this set by TP-LINK will help you widen your home network in places where you can't drag the LAN cable. 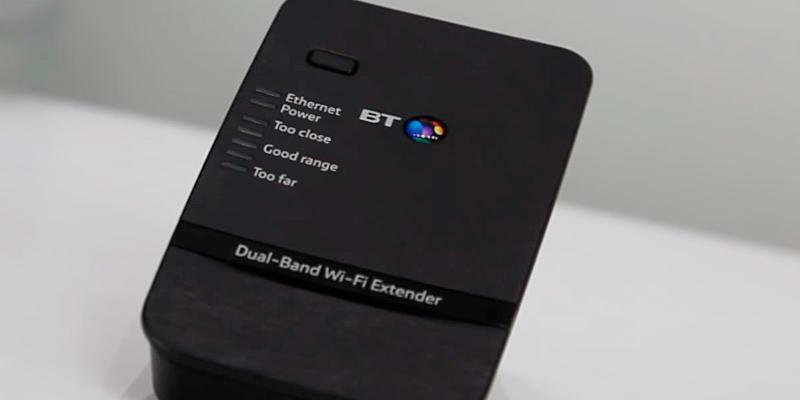 The extender has 2 LAN ports for wired connection and a Wi-Fi module for the wireless one. Official NETGEAR Android app is available for phones and tablets to check the Wi-Fi signal strength. Handy for choosing the right placement of the device. Works only at 2.4 GHz. 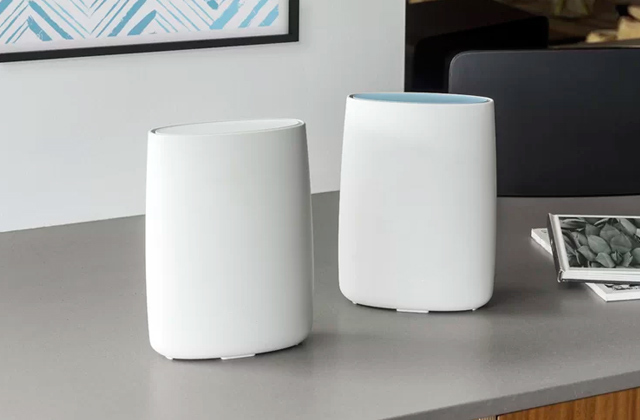 Balanced Wi-Fi extender with a working range enough to cover small houses will provide you with a fast and stable connection. This Netgear model also has 1 LAN port to get a signal to the device that has no Wi-Fi receiver. The Spot Finder Technology coupled with the LED indicator makes it possible to find the best spot for the extender without employing any additional devices or software. 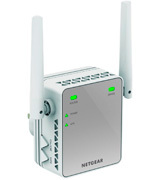 If you live in a medium-sized or big house, this compact yet high-performing model is a good option: its 2 powerful antennas provide fast data transfer and the beamforming technology makes for a steady connection. This Wi-Fi extender features a smart retranslator arrangement system that will help you find the best place to set the device. Integrated antennas affect the effective range. An excellent choice to extend the network coverage at home. Fast and simple device calibration via the web-based interface and compatibility with popular devices will surprise you to the upside. The first thing you notice in this device is a glossy futuristic design and, of course, its 4.3" touchscreen - a rare and unexpected element even on routers. But getting one on an extender is a pleasant surprise. 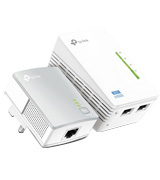 Turned out, you don't have to connect this TP-Link Wi-Fi range extender to a computer with a cord to configure connection settings. Network, adaptor's, and other settings can be directly accessed via the very same built-in display that has intuitive icons. There, you can input all the necessary commands and set a wi-fi connection password. 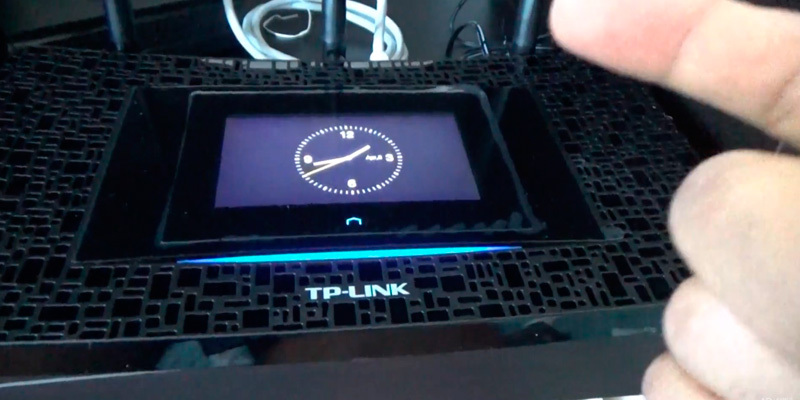 On the screen, you can see the connection quality and speed to your Wi-Fi router. You may change the image on the display to the current time and date so that it could work as a simple wall clock and become even a more functional part of your room's interior. For your convenience and comfort of use, all configurations can be done remotely on the Internet via your web browser. No need to leave the chair, turn the Internet on and specify the settings you need. As you might have noticed, RE590T has 3 adjustable antennas and powerful 700 mW amplifiers that can attain up to breathtaking 1300 Mbps peak downloading speed at 5 GHz frequency. It can support several devices simultaneously. 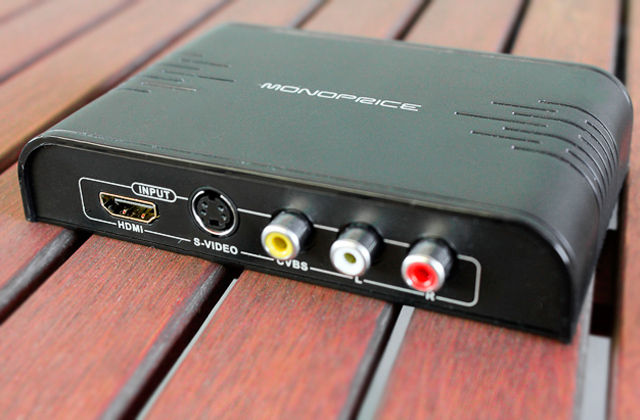 For example, you can watch streaming video and play games without cross-interference. 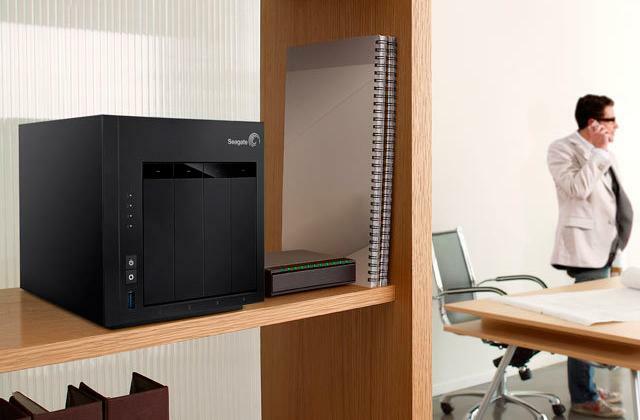 This beast can even break through several thick walls to give you the stable network access wherever you need it. But with thin walls around it, you can cover up to 10,000 sq. ft. Wi-Fi zone, which is really huge. An awesome addition to large office spaces, big mansions or simply where the normal Wi-Fi router signal doesn't hack through thick walls. Speaking of high speed, you might be interested that the world's record of the quickest broadband to a private house was set in 2007 and belongs to the Sigbritt Löthberg. It was a part-gift part-experiment by her son Peter Löthberd, worker of the world-famous Cisco company that produces lots of software and PC hardware. At the time, she had the colossal 40 Gbps broadband connection. For reference, she could download a movie in HD quality (around 3-4 GB) in just 2 seconds! This record is yet to be broken, but later on, Peter capped the speed to 'mere' 10 Gbps for energy saving reasons. But even nowadays, you can still get only around 1 Gbps as a private user from the world-leading ISPs. Nevertheless, the IT scientists are constantly working on improvements of the data transfer technology. For example, in September 2016, the Germany-based research tests - conducted by Nokia Bell Labs, the Technical University of Munich and Deutsche Telekom T-Labs - blew up with the out of bounds results. They have achieved 1 Tbps of data transfer via optic fiber cable. 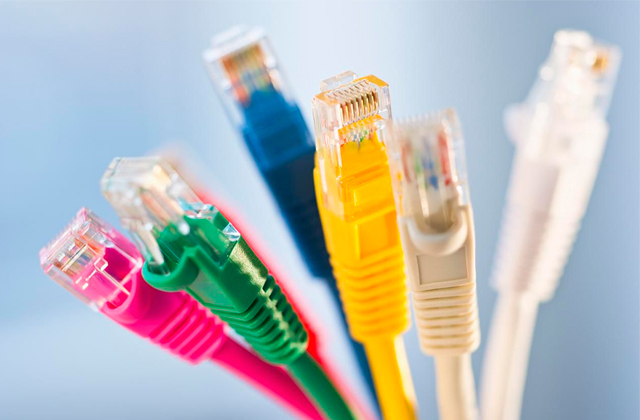 Although it's not yet designed for residential use, this might become a means to create a better high-speed connection between national-wide and smaller ISP companies or better yet - between their smaller service hubs. So, maybe the days of non-capped cable and wireless Internet are even closer than everybody thinks. 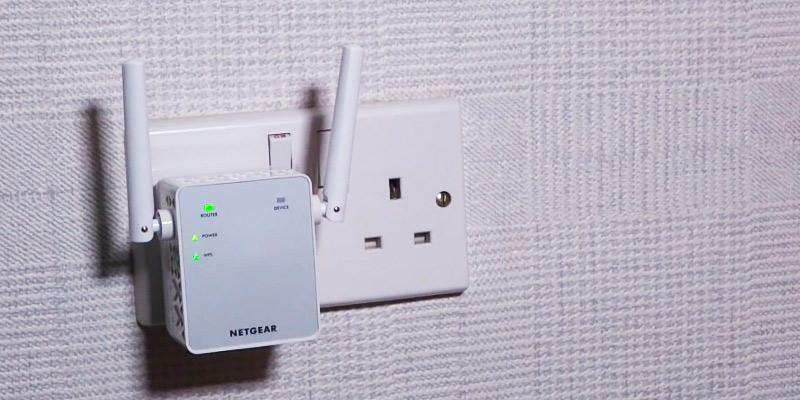 This model is a 2-in-1 device, a powerline adapter and an actual Wi-Fi extender. A powerline adapter is your best alternative to running Ethernet cables through the walls of your house (which is expensive and means actually running cables through walls). It is also a perfect middle ground between the quality and speed of the Ethernet cable plugged into your personal computer and the speed offered by a Wi-Fi router. It is also safer than Wi-Fi. However, we've made a small detour and this review here is of Wi-Fi extenders, so let's turn to that. The best thing about this system is that it can be used as a wired and wireless connection. You can set up your desktop computer with a wired option and your sister's tablet wirelessly. The device is just a bit more than plug-and-play, setting it up takes little to no time at all, and it uses your standard outlet as a connection point to strengthen the signal. There are two units in the set, you plug the adapter into the wall within the range of your Ethernet cable and the other in any room you have difficulties getting Internet in. Then you plug in the Ethernet cable and push the "Pair" button. 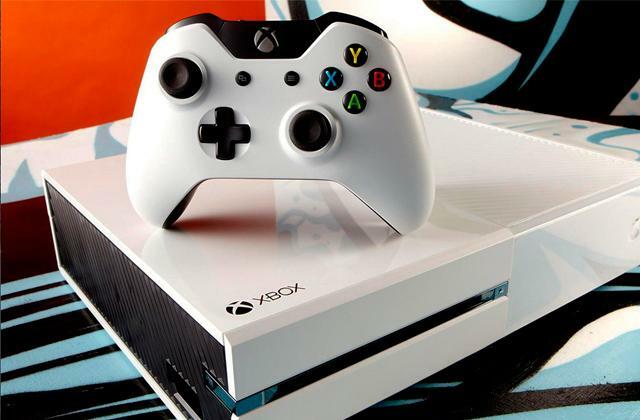 That's it, you're good to go and use it, both with wires and wirelessly. The Clone button is there to copy your router name and password so that you could use the Wi-Fi right away. But the extender also offers two ports for wired connection in the case you need higher speeds on your laptop at some moment. 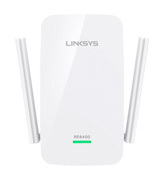 The Wi-Fi boost with this universal extender works at 2.4GHz, the standard frequency. The wireless standards it operates with are the 802.11b/g/n. The 802.11ac would be nice, of course, but it is not exactly a must-have for most users. 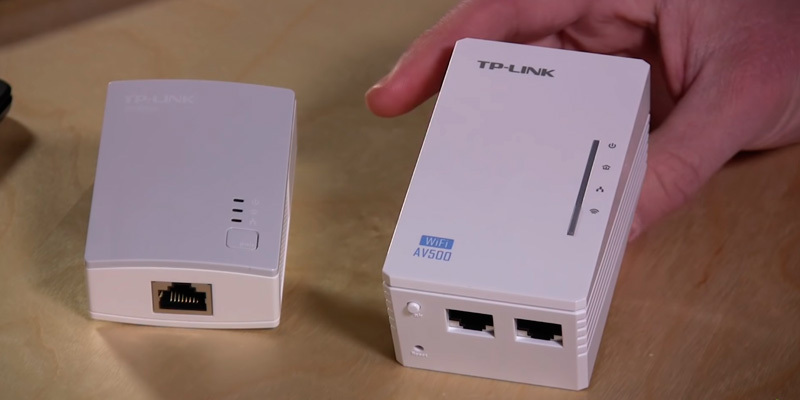 TP-Link has an app that goes with this powerline adapter and extender system. The app allows you to control your wireless network as you see fit. That means limiting the access, for example, setting the time when Wi-Fi turns off automatically. This feature is loads handy when you have kids and they tend to hole up in their rooms with a wirelessly connected laptop when it's high time to sleep. With the TP-Link TL-WPA4220KIT, there is no need to manually turn off the router every evening, simply set the Wi-Fi extender to turn it off for the night according to schedule. 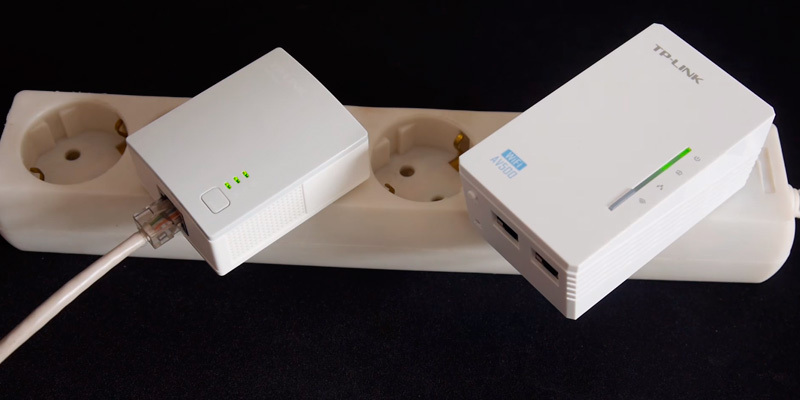 Drawing a final conclusion, we'd say we recommend this mini Wi-Fi boost system and powerline adapter for homes with multiple rooms and thick walls, and houses with several floors. The wired connection is yet to be outplayed by Wi-Fi, and with this model, you get a combination of both, so it's a win-win. Everyone hates slow Internet. Usually, the key reason is simply a large distance from the router. When its signal is just not enough, invest your money in the quick solution named NETGEAR N300. The device has two small but powerful external antennas to provide Wi-Fi in a dead spot. It also has 1 port for Ethernet cable to wire up a PC or a TV to the Internet in case a device doesn't have a built-in wireless module. The extender works perfectly right out-of-the-box. We still recommend checking out the official website for optional firmware updates. As for more advanced manual configuration, hook the device up to a computer using the very same Ethernet port and complete the initial setup. After that, you will always be able to readily access it from your phone or notebook via Wi-Fi. Note, that N300 supports only 2.4 GHz frequency. 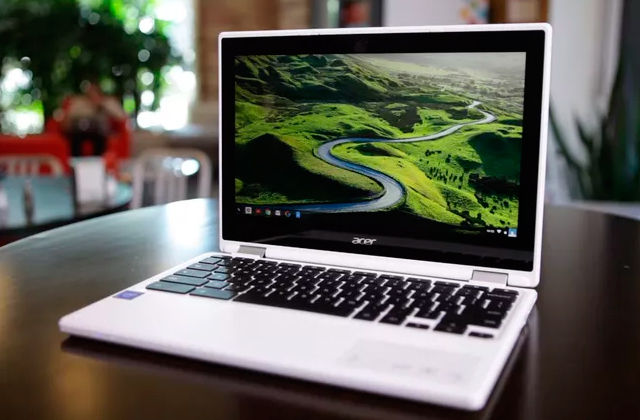 It is slower than 5 GHz, of course, but also the most popular one and can attain up to 300 Mbps, which is actually quite enough to watch a streaming video or play video games without any noticeable lags. Another reason of a slow connection is that you might have lots of Wi-Fi broadcasts in one place at once. This usually happens in a dense neighbourhood or high-rises with lots of company offices. 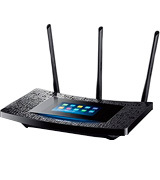 Wi-Fi routers operate on a certain amount of channels and tend to use the best one available. But that doesn't mean that the router next door won't choose the same one as yours. When every other neighbour has a router and all the signals are working in a tight area, the cross-interference is bound to occur. If you have two Wi-Fi sources close to each other, they may also conflict a bit. In this NETGEAR extender, you have an awesome but frequently forgotten option to manually switch between the broadcasting channels, although this might require some twist of the wrist. Try alternating them in the device's settings and look for the best results using a speed test or official Android app by NETGEAR. Finally, you can also point 2 antennas in several directions to enhance the signal where you need it the most. 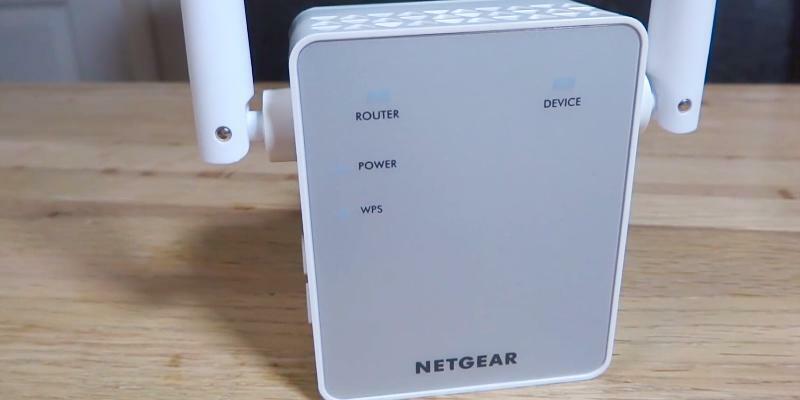 As a conclusion, NETGEAR N300 Wi-Fi extender is a considerable choice when you have to quickly enhance your Wi-Fi signal for your tablet, phone or notebook. Give it a try, and see for yourself how handy and easy it is actually to use. 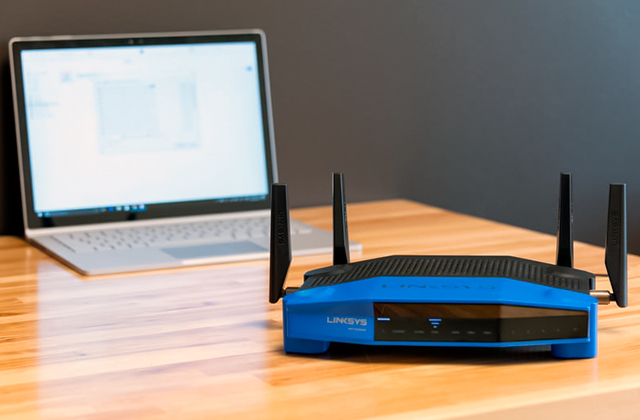 Setting up the Linksys RE6400 Wi-Fi extender is a process unrivalled in its simplicity. Basically, the only thing you need to do is push the button on the device and walk around a bit to find the perfect spot for the extender. You'll know it by either the ember light changing into green or you can use a browser-based solution called Spot Finder Technology; the latter will simply show you, visually on the display of your smartphone, the distance between the extender and the router. Simple like that. Speaking of routers, the model is compatible with all of them, of course, though it is hardly a surprise—nearly all extenders today work perfectly regardless of the router brand. If your router was given to you by your Internet service provider, that is not a problem as well, it will work just fine. 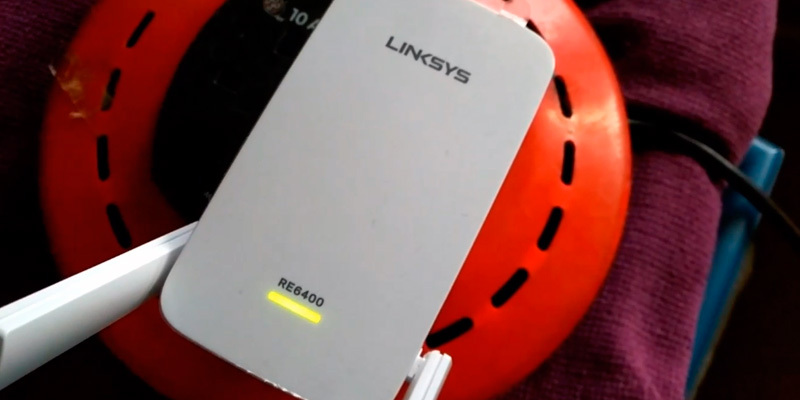 Connecting the Linksys Wi-Fi extender to the router is automatical, the model syncs with the Internet source (i.e. router) on its own right after you push the sync button. It is quite cool that this extender works with all existing wireless standards, including the newest 802.11ac dual band. 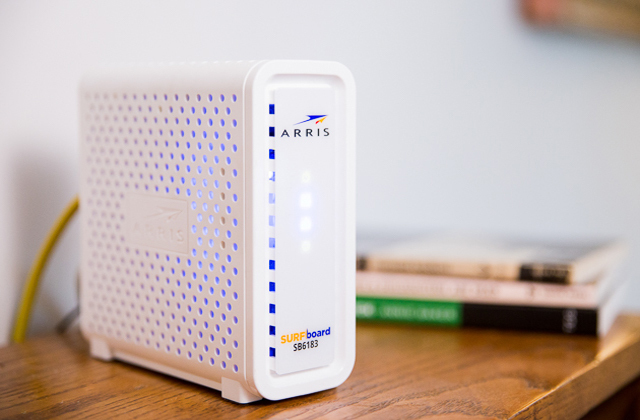 The 802.11ac standard offers enhanced bandwidth and flexibility, it's a welcome feature in routers and now your extender can connect to that router as well. This mini Wi-Fi boost device offers quite decent speeds at both 5GHz and 2.4GHz, as well as with LAN connection. While it is not the maximum 5GHz frequency can offer (which is 1300 Mbps), the 867 Mbps speed is way beyond the speed many household users even take notice of, there will be no delays during movie streaming or gaming. The 2.4GHz band does offer its maximum possible 300 Mbps speed, though. And LAN connection provides up to 1000 Mbps. 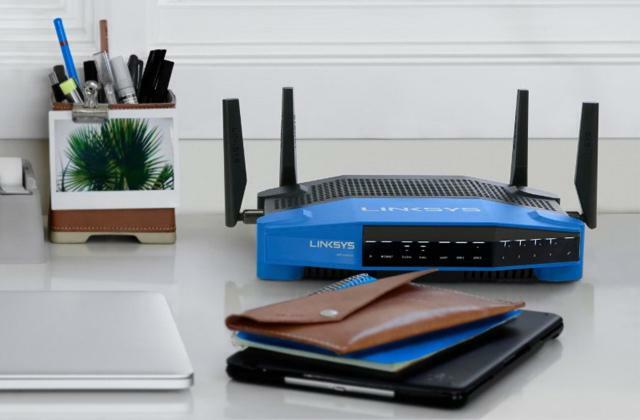 The Linksys Wi-Fi extender has two features of interest to anyone who uses Wi-Fi a lot. One of them would be the Crossband Technology, a technology that allows the bands to kind of "communicate", as in, the data is received by one band and is then transmitted to the other. This ensures the signal is faster, stronger, and more stable. The other feature is the Beamforming. This one is, we believe, very cool. The Beamforming technology makes it possible to "focus" the Wi-Fi beam on a specific direction where your device is instead of dispersing the signal all over the place. Now your network is also highly efficient for all your family members. 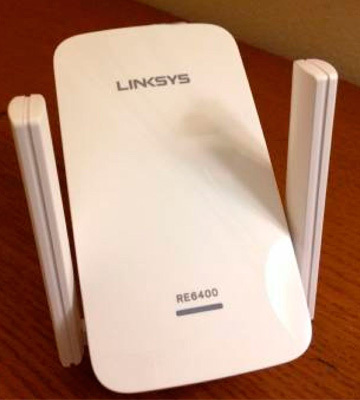 The Linksys RE6400 can be called the best Wi-Fi extender for large homes with a selection of gadgets. It is nicely compact and exceptionally efficient. 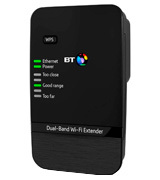 BT Dual-Band Wi-Fi Extender 600 Kit is quite a small model due to the fact its antennas are integrated into the case. As the result, the design of the device is smart and unfussy. At the same time, the faceplate has a number of indicators which help you to estimate the device operation. There is also a feature that is worth mentioning, which will help you to align the extender. There is a system, consisting of 5 LED indicators, which helps to find the best place for it in the house. There are 3 points: Too close, Too far and Good Range. All you need to do is find a Good range and place the device there. This will be the perfect position for it, where it will be able to function properly with the max result! Sometimes the standard router is just not enough. This happens because of the numerous wireless devices used at the designated area and some limitations of this router. In this case, Wi-Fi extenders come to the rescue. 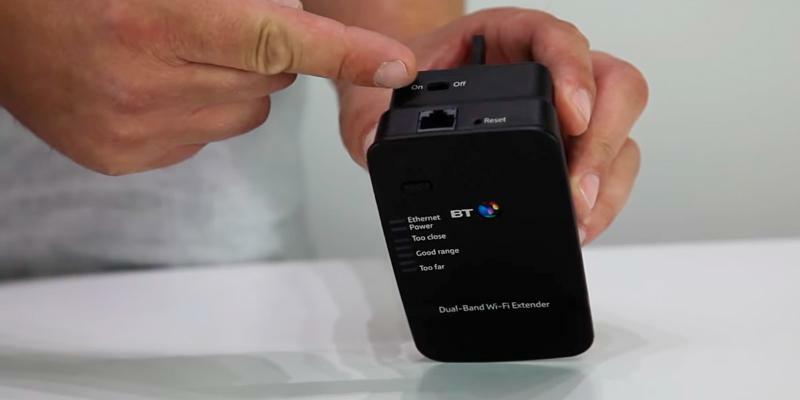 BT Dual-Band undertakes all these problems. 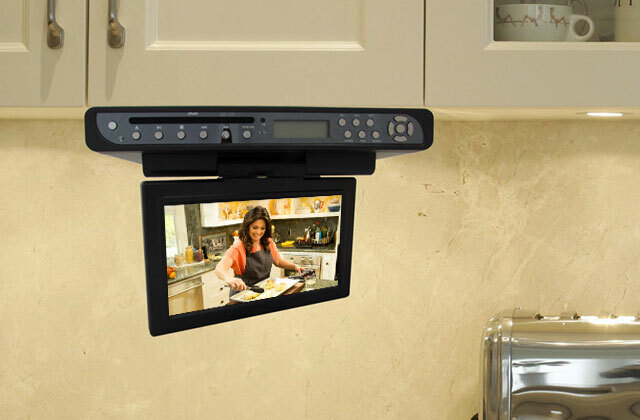 Functioning on dual frequency bands (2.4 GHz and 5 GHz) this retranslator provides quality and persistent connection with all the devices in the house. The 5 GHz frequency also allows avoiding interferences, created with other devices and even other Wi-Fi networks! And the maximum connection speed of this repeater is 300 MB/s. It uses the latest data-scrambling technologies in order to create a secure home network and to provide faster file transfer. This is why BT Dual-Band is a really efficient solution for any house! Nowadays you can get a Wi-Fi signal almost everywhere in a city: malls, offices, cafeterias, hotels, shops, and even in public transport. Of course, the connection there may vary in quality from good to no signal at all. But even at your own house, you are not safe from accidentally getting into a dead spot where you cannot pick up even a single bar from your Wi-Fi router. Concrete walls, reinforced panels, weak output signal—these and many other things may become a nearly impenetrable barrier for Internet access. 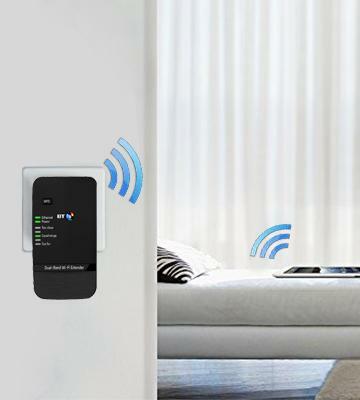 Wi-Fi extenders are an excellent solution to cover your entire house with a stable signal. As it is evident from the name, they extend the existing Wi-Fi coverage by taking a signal from a router and retransferring it to the nearby area. 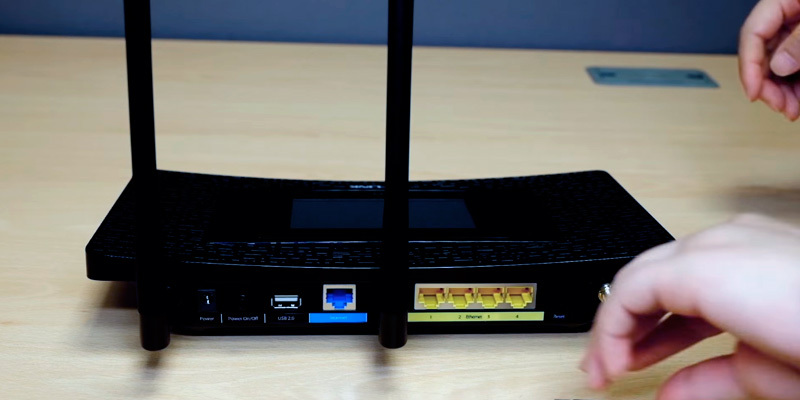 In some cases, an extender simply boosts your router with additional antennas; in others, it creates a new network with a common router as an access point. 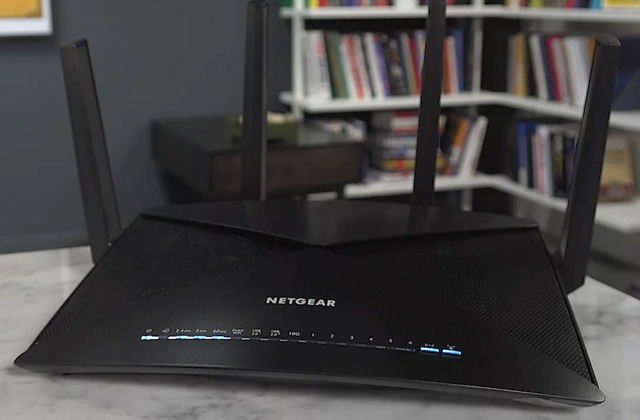 But right before we'll go further into details, you might want to take a look at our review of the best wireless routers with a thorough guide on how to get a Wi-Fi router best suited for your needs. First of all, think about where you are going to use. Wi-Fi extenders sometimes are called repeaters and have a designated area of use. You can find models that are recommended but not limited to small houses or offices. The device amplifies a signal so that it could reach the farthest corners of your apartment, like when you have thick concrete walls in your building with a router's signal cutting through only one or two of them. For a cottage or an office, you might require a more powerful extender. In that case, we recommend taking a closer look at a Wi-Fi repeater that has adjustable external antennas with the gain power at 3 dBi or higher. If antennas are detachable, they can be replaced with more powerful or directional antennas in the future, but in most cases, you can simply point them in the required direction. You want to buy an extender to get better coverage and speed in the first place, right? If those numbers mean nothing to you, just try to buy an extender with the same maximum speed as your Wi-Fi router. Check them in a manual and in contract to your ISP. Search for numbers like Mbps or Mb/s. Below, we've compiled devices that range from 300 up to incredible 1300 Mbps, so that you could choose the one that would suit your ISP traffic plan and walls layout best. Setup and controls are mostly done only once by connecting a device to your computer’s Ethernet port to set a Wi-Fi password. Normally, extenders work right away, but sometimes they have a CD with special software to program an extender. Basic options like resetting or turning the device on-off usually have designated buttons on the body. If you prefer gaming but your family loves watching online video or downloading large files, an ordinary extender might not be enough, as the streaming video and big files take a lot of Internet traffic and can cause lags. Therefore, you might want to get an advanced model with an option to prioritize connections. Most of the time, extenders are simply plugged into a socket and look like compact boxes with or without antennas. However, there are models that have an external power cord and can be placed on top of the shelf or just sit on your table. That way you will always have them within hand's reach. There’re repeaters that have output LAN ports to connect them to other devices that have no Wi-Fi module, like a TV or desktop PC. Some extenders work with a power-line technology. It allows you to transfer Internet signal via the electrical wiring of your house. You will need 2 or more of such power-line adapters. 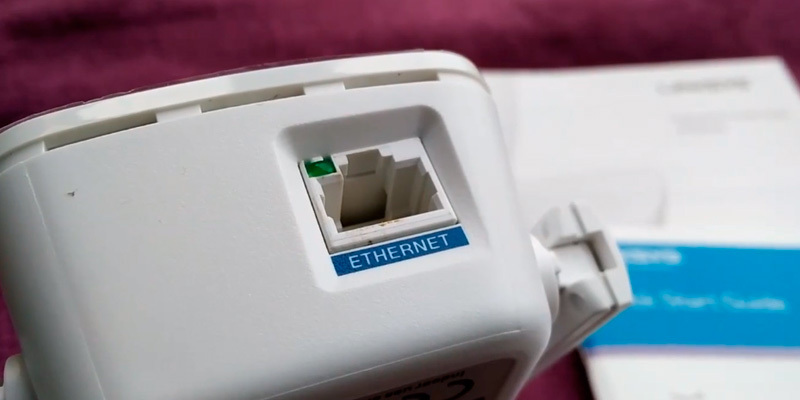 After they've been plugged in the sockets, one of them will pick up a signal from the router via Ethernet cable or Wi-Fi, while the other one can receive it and retransfer further to other devices. Please note, that in most cases Internet signal can’t pass through electric transformers or power monitors. 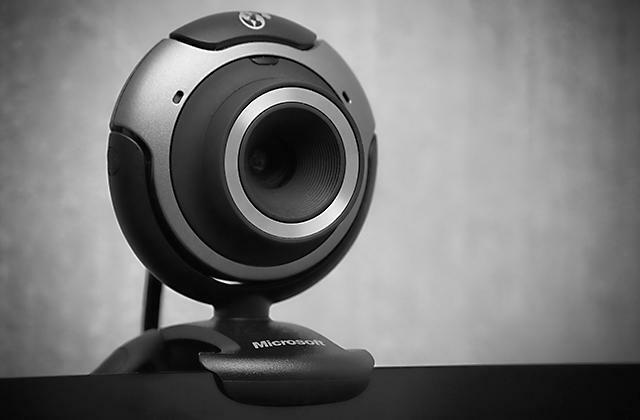 You might also come across such specifications as supported network standards or access protection protocols, however, they are mostly interoperable only with many routers, so you might need this info only if you are going to install very specific routers in your office and need to protect confidential data. 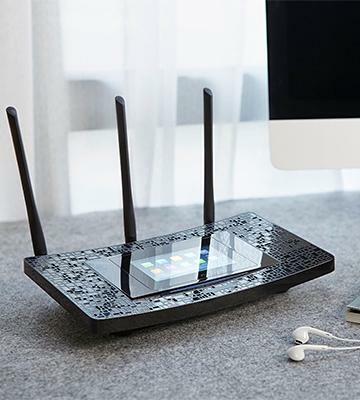 Still, common routers, extenders, and adapters are designed in accordance with Wi-Fi standards which oblige manufacturers to have the means for data protection. Set passwords, keep them to yourself and worry not - your information will be safe and sound. 1. Simon Jary How to improve Wi-Fi in the home: Wi-Fi extenders vs Powerline adapters, PC Advisor. January 7, 2015. 2. Samara Lynn Wireless Witch: How to Place a Wireless Extender, PCMag. November 12, 2013. 3. Dan O'Halloran Boost Your WiFi with a Range Extender, Techlicious. January 12, 2015. 5. WiFi Boosters, Repeaters and Extenders, RepeaterStore. 6. WiFi Range Extender Best Setup Guide, RouterGuide. 7. Simon Hill 7 Things to Consider When Buying a WiFi Range Extender, DealNews. June 9, 2016. 8. Securifi How to Choose the Right WiFi Extender Solution For Your Home, Securifi Blog. July 5, 2016.